Field camp is a requirement of most undergraduate geology programs. The camps are traditionally taught over the summer term as a six-week course. However, the large time and financial commitment can discourage students from either majoring in geology or completing their degree requirements. 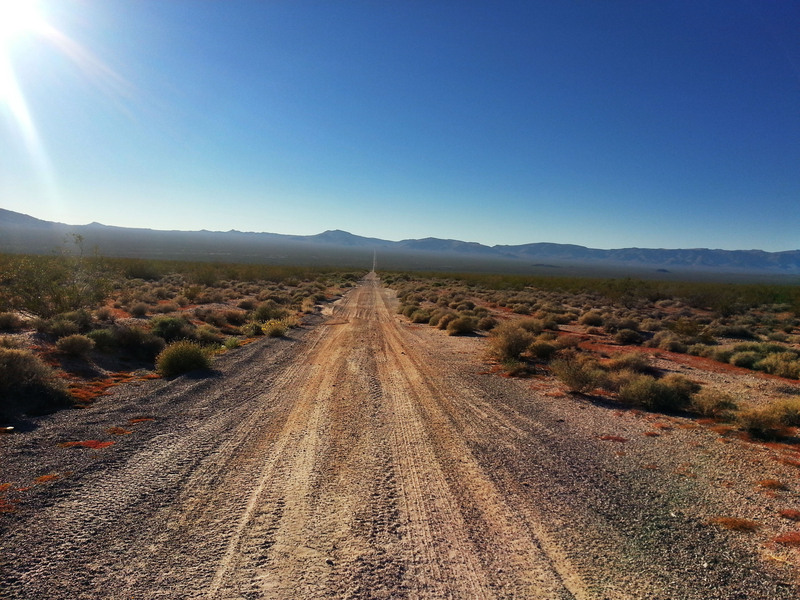 The UNLV Geoscience Department offers an alternative to the traditional field program by having students complete the 6 week (6 credit) field camp requirement as two separate, 3 credit courses. 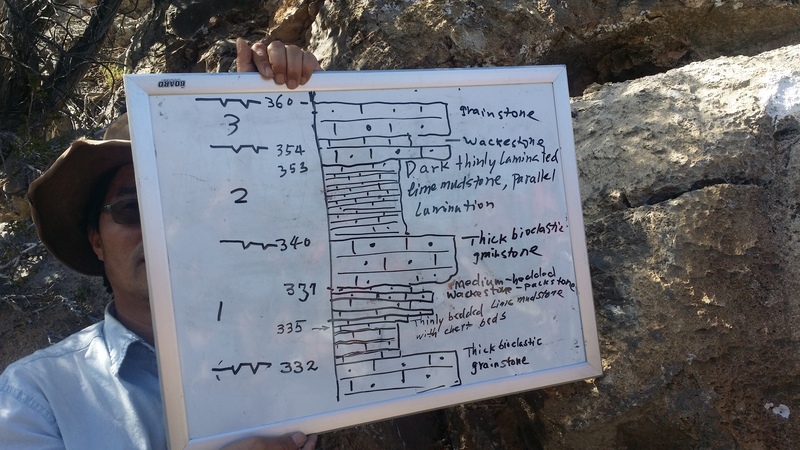 The UNLV Geoscience Department field program offers students a unique learning experience by dividing the traditional 6 week field course into two units. The first unit, GEOL 348 – Field Geology I, is taught during fall semester, typically each Friday of the semester. The course focuses on basic geologic mapping, map preparation, and report writing skills. Mapping projects are designed to develop the student’s ability to independently observe, record, and interpret field relationships in different geologic contexts and settings. The second unit, GEOL 372 – Advanced Field Geology, is taught during Spring Break and at the beginning of summer, usually during the first two weeks of June . The course builds on skills developed in GEOL 348; however, the focus shifts to the analysis of geologically complex areas, and the preparation of professional maps, cross-sections, and reports. Geoscience Department faculty that teach field classes include: Josh Bonde, Wanda Taylor, and Michael Wells. The field locations and projects vary from year to year with the instructor. Previous field class locations include parts of southern California (e.g., Clark, New York, and Little Piute Mountains), southern Nevada (e.g., Muddy Mountains, North Muddy Mountains, Spring Mountains, and McCullough Range), central Nevada (e.g., Hot Creek, White Pine, Timpahute, Southern Egan, Southern Snake, and Hiko Ranges), northwestern Utah (e.g., Grouse Creek Mountains), southern Idaho (e.g., Albion Range) and western Texas (e.g., Big Bend area). Transportation to and from field locations is provided by the UNLV Geoscience Department. This cost is included in your course fees. Out-of-state students will need to arrange for their own transportation to and from Las Vegas, Nevada. Because the summer field projects are usually in remote mountain locations, we camp in tents on undeveloped (i.e., no running water or toilets) BLM or Forest Service land. Occasionally, we will stay in motels or developed campsites (students should be prepared to pay for motel/ campsite costs). Students bring their own camping (e.g., tents, sleeping bags, pillows, solar showers, etc.) and field (notebooks, map boards, pencils, etc.) supplies. The Department provides cooking equipment (stoves, pots, pans, etc. ), coolers, a large group study tent, base maps and Brunton compasses. Students are responsible for the cost of all meals (usually $250 for a 3 week course). For the summer class, students participate in food preparation and clean-up. Students who would like to enroll in GEOL 348 must have completed GEOL 220 (Mineralogy), and either have completed/or be enrolled in GEOL 341 (Structural Geology), or equivalents, with grades of C or better. Contact the UNLV Geoscience Department prior to registration to ensure that you meet the requirements. Students wanting to enroll in GEOL 372 must have completed GEOL 348 (Field I), GEOL 462 (Igneous/Metamorphic Petrology) and GEOL 462 (Strat/Sed), or equivalents. * This is an estimate and does not include expenses such as food or motel. GEOL 348 is offered each fall semester and although GEOL 372 happens in the summer it is officially a spring semester class and you must register for it prior to the start of spring semester classes in January. Students who enroll in GEOL 372 receive a grade of Incomplete at the end of the spring semester that converts to their earned grade by the end of the final summer semester. Registration for the Spring semester usually begins in November.